This LED Strip Ultra-Warm White 24V is 5 meters and contains 350 pcs SMD 2835 LEDs. The strip is made of white PCB and produces beautiful warm light of 2400K and is unique in its kind. This LED strip is dimmable, and depending on the type of LED driver can dim nicely up to 0%. This LED Strip RGB 24V is 5 meters and contains 350 pieces of SMD 5050 LEDs and is a High Output strip. The strip can be connected directly to one of our power supplies. 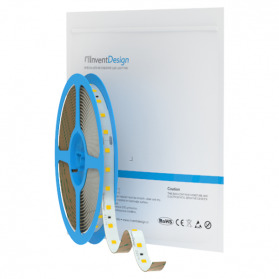 This LED strip is dimmable, and depending on the type of LED driver can dim up to 0%. The strip is easy to cut to size because it can be cut every 10 cm. 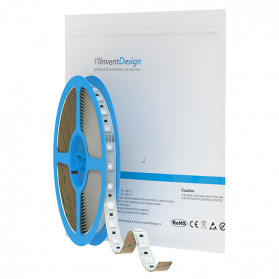 This Led Strip Warm-White 24V Super Bright has a higher light output than other flex strips. The strip uses 72 watts per 5 meters and is equipped with up to 600 SMD LEDs. 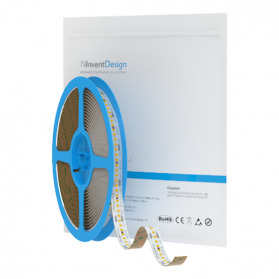 This LED strip is dimmable, and depending on the type of LED driver can dim up to 0%. This Led Strip White 24V Super Bright has a higher light output than other Led Strips. The strip uses 72 watts per 5 meters and is equipped with up to 600 SMD LEDs. 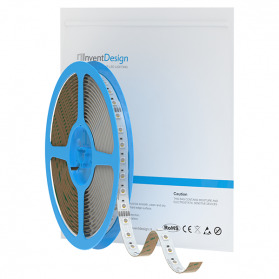 This LED strip is dimmable, and depending on the type of LED driver can dim up to 0%.